We were inspired to do this project because of all of the advancements in wearable technology (Cheaper, more accurate) which could greatly reduce the cost of prosthetic and allow people who couldn't before afford this tech to be able to. 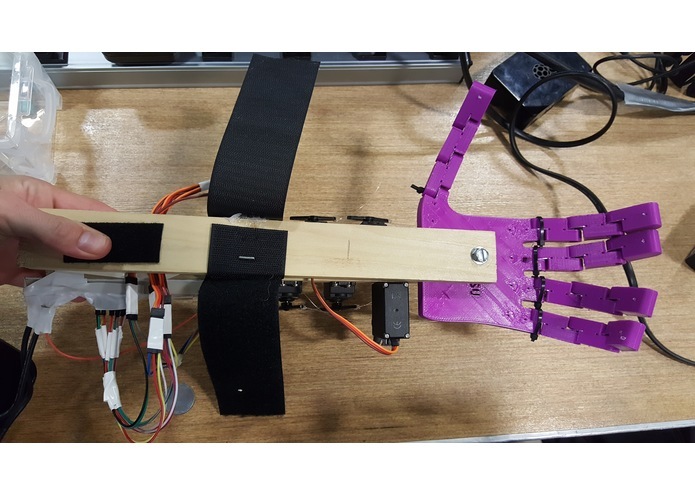 Helping Hand is a prosthetic hand that uses Arduino and a MYO armband to move a prosthetic hand with servos. This hand has a few simple to pick up gestures that correspond to hand movements. Looking for cheaper sensors that give us the most accurate data for the least amount of money. Also improving the overall design of the hand to incorporate a "living" hinge rather than the torsion springs we used. I worked on the servos, Arduino, initial design, and interfacing between the Raspberry Pi and Arduino. 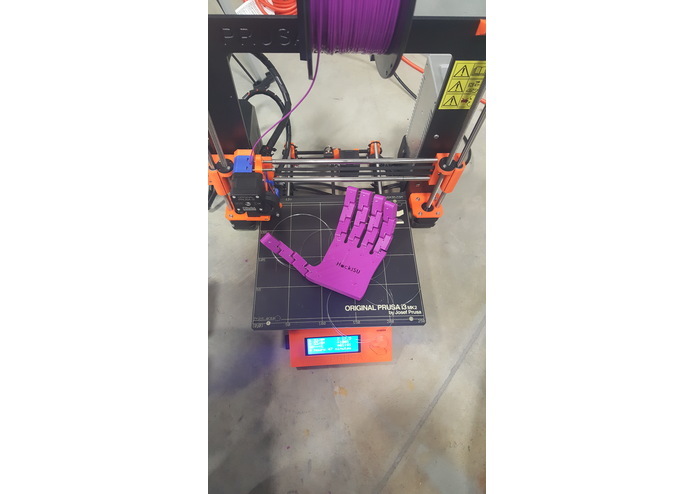 I designed and printed the 3D printed hand portion of the project all during the time spent at HackISU! I also helped put most of the assembly together and ran all the fishing line used as the "tendons". 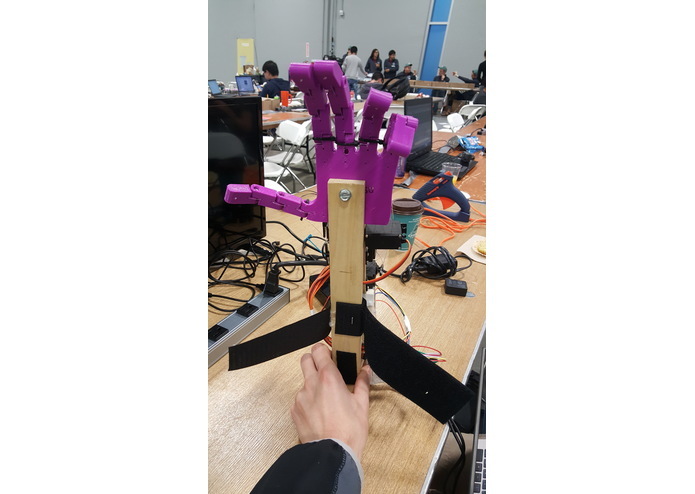 I worked on understanding the Myo armband and interfacing it with the servos controlling the robotic hand. I had never seen or heard of a Myo before the start of HackISU, and it was an interesting learning experience getting it to work! I worked on connection between the Myo and the raspberry pi. I helped make a python script that reads the Myo data and sends that information to the arduino.